Myer has declared Apple products "unprofitable" and will no longer sell the range at any of its department stores. 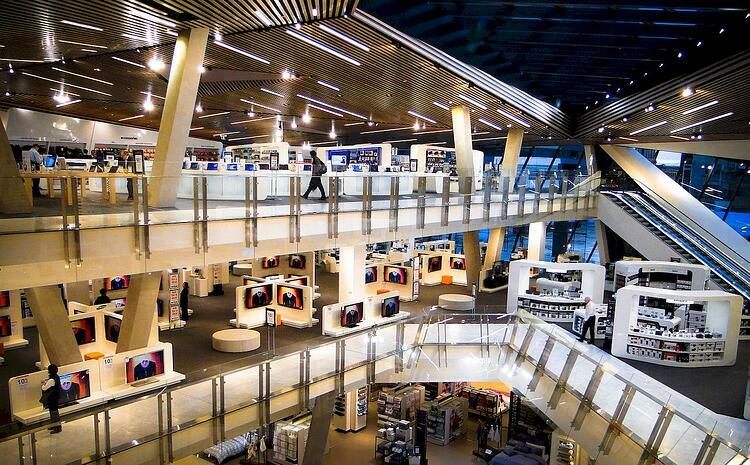 Above: Myer's remodelled flagship store at Melbourne with tech products on display. Myer will stop selling "unprofitable" Apple products as part of its drive to focus on higher-margin items. The decision, which will apply to the 16 department stores that stocked Apple products, as well as online sales, comes as Myer restructures to better compete with online retailers. Myer is cutting costs and boosting its online presence which led to a modest first half profit in January. Myer’s net profit came in at $38.4 million for the six months to January 26, 2019, compared to a loss of $476.2 million for the same period a year earlier. Myer has 61 stores, mostly across the eastern part of the country.